Glass Plaque With Blue Stripes and Mirrored Highlights. 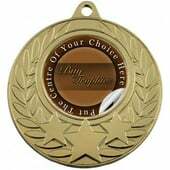 A great piece for any awards ceremony. 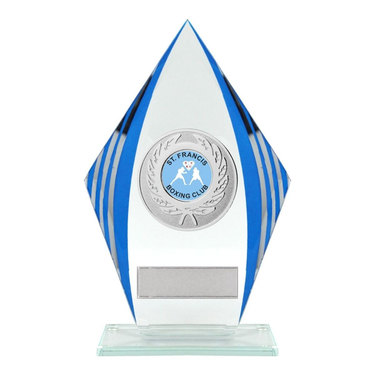 It features a standing base and a section to place a centre sticker as well as an engraving plate to personalise the award.